Legendary San Ignacio Lagoon in Baja is one of our two locations for one of life’s most soul-stirring experiences. For reasons that no one understands, a select number of Pacific gray whales enjoy contact with people, and on these whale-watching tours you will get up close and personal with these gigantic animals. San Ignacio whale watching is not to be missed and our camp, set on the edge of the water, is an ideal base of exploration. We head out twice each day to observe, discuss and get close to these gentle creatures that dwarf the motor skiffs (pangas) aboard which we travel. After each excursion we return to our camp to relax, enjoy a meal and after dinner, watch the sunset over this large Pacific lagoon. Our camp has a large dining dome and comfortable stand-up tents with cots. San Ignacio Lagoon is one of our sheltered lagoons that are connected to the migratory path of the gray whales as they travel the Pacific Coast of North America from Alaska to Mexico, where they arrive every December and January to calve. Thousands of these awe-inspiring animals arrive each winter to bear their young, after having traveled over 5000 miles from the north. For the past several decades, these gray whale birthing lagoons in Baja California have enjoyed strict Federal protection. Permits for the whale watching boats are limited and closely monitored. A lagoon guard notes exactly what time any boat enters the whale watching area and assures that each boat spend no more than the two hour limit. From the stable and comfortable skiffs, you watch the whales and their young calves (which may vary from a month to a couple of months old). There is also fascinating adult behavior to observe as well such as breaching, fluking and spy-hopping. It is not uncommon for a mother whale and he calf to approach our motor skiffs close enough that we are able to lean out and touch them. The key here is that the whales approach us and not vice versa. No one knows for sure why they exhibit this behavior, but looking into the eye of a whale is a very powerful experience. While the whales don’t always swim close enough to be touched, it is not uncommon and at the very least, you will be within 15-20’ of these athletic whales. Our whale watching trips at San Ignacio Lagoon take place within the Whale Sanctuary of El Vizcaino that comprises two coastal lagoons, Laguna Ojo de Liebre and Laguna San Ignacio, along with their surroundings. The region includes a spectacular mosaic of wetlands, mangroves, dunes and desert habitats. The area is huge – over 800,000 acres and is part of the even larger El Vizcaino Biosphere Reserve which is the biggest Biosphere Reserve in all of Latin America. The two whale calving lagoons are the World's most important place for the reproduction of the once-endangered North Pacific Gray Whale. The protection of these winter breeding grounds has been a key factor in the remarkable recovery of this species after near-extinction that was the result of commercial whaling, which took part along the Pacific Coast and even inside these very lagoons. The whales that come here each winter migrate between these lagoons and the summer feeding grounds in the Chukchi, Beaufort and Bering Seas. In addition to the gray whales, the lagoons are habitat for numerous other marine mammals, such as the California sea lion, bottlenose dolphin and harbor seal. There are four marine turtle species that live in the shallow waters which are also an important habitat and nursery-area for a large number of fish, crustaceans, and others marine life. As well there are numerous breeding and migratory bird species. Not far from the glistening blue waters are desert sands and this biogeographically part of the Sonoran Desert, boasting highly diverse flora and fauna is also protected. It is fabulous that the first conservation effort that came into force was in 1937 with the Convention for the Protection of Migratory Birds and Game Mammals - a bilateral agreement between Mexico and the United States of America. Another important protection came with Mexico's adherence to the International Whaling Commission in 1949, which has been protecting Gray Whales from commercial whaling since its establishment. A marine refuge zone was established, by Federal Decree in 1971, for whales in Laguna Ojo de Liebre, followed by another decree one year later establishing several refuges around the lagoons. In 1988, the federal government declared El Vizcaino a biosphere reserve, which was then internationally recognized under the UNESCO Man and the Biosphere Program in 1993. We invite you to join us in this remarkable corner of the world for a life-enriching adventure to view whales, and the possibility to extend your vacation to hike and see the cave paintings of the Sierra de San Francisco. 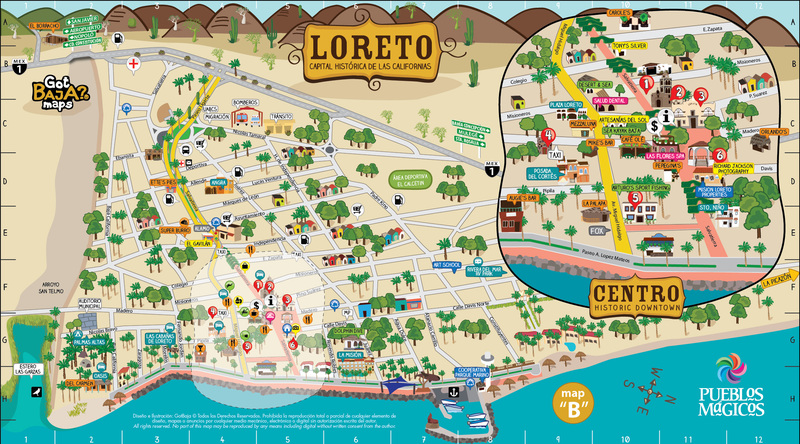 Welcome to Loreto in Baja! We offer whale watching tours at San Ignacio Lagoon as a stand-alone experience with transportation to and from Loreto (about five hours south), or in combination with our sea kayaking tours in Loreto. You can combine a 5-day sea kayak tour of the Islands of Loreto with a 3-day whale watching tour in San Ignacio Lagoon. The San Ignacio Whale Watching with Kayaking combination tours run from mid-March to mid-April. Arrive in Loreto, headquarters for ROW Sea Kayak Adventures’ operations in Baja! We have been based in this lovely town since 1993 and consider ourselves part of the fabric of the community. We are proud that we employ over 15 Mexican guides, support a number of local businesses, buy all our supplies locally and generally have a large economic impact within Baja California. On your arrival catch a short cab ride to the tour hotel. Drop off your bags and head out to explore this tranquil colonial town. Founded in 1697 by Jesuit Missionaries, it is the region’s oldest permanent settlement. Located on the Sea of Cortez, Loreto today remains idyllic in many ways. There are gorgeous beaches, whale watching opportunities, snorkeling, and superb hiking and, is our base for kayaking tours to nearby Islands of Loreto Bay National Marine Park. Enjoy the town and waterfront promenade before we gather an orientation meeting. Today is a fabulous day of discovery! We rise and shine early then begin our drive north along the coast, and then west across the desert to the Pacific Ocean. This is the perfect introduction to the mountains and landscape of Baja California, and we will stop for some memorable highlights along the way. We will visit the old mining town of Santa Rosalia, founded in 1884 by a French copper mining company, where we see a handsome metal church designed by Gustave Eiffel, of Eiffel Tower fame! By early afternoon we arrive in the old mission town of San Ignacio. We arrive in the afternoon just in time for our first Whale Watching session in San Ignacio Lagoon. Breathe in the salty air of our secluded, quiet stretch of beach before settling into tonight’s accommodations. We dine together outside under the stars. Our seaside camp, perfectly located on the lagoon, provides everything you need for a rustic, but comfortable experience. It is hard to capture in words the powerful experience of an intimate whale encounter. To be close to these powerful, yet gentle animals, is the dream of many, and our whale watching adventure will fulfill that dream. We head out from our camp in small, motorized boats, locally called “pangas” with expert skippers. During our whale-watching sessions we are likely to see whales spy hop, breach and even witness a rare mating romp. Our small pangas allow us to observe the whales at close range. Once we near a whale (or whales) at a respectful distance the engine is put into neutral and it’s up to the whale to come closer or not. It is not uncommon for a whale, or a whale and her calf, to come up right next to the boat for a back scratch or head rub! It’s impossible to know why they exhibit this behavior, but we are the lucky recipients! To look into the eye of a whale is truly one of life’s most rare and moving experiences. Whale watching activity is closely monitored and a limited number of boats are allowed in the lagoon whale watching area each morning and afternoon. Generally, we spend a hour and a half whale watching per excursion, and take two excursions today, but this could vary depending on whale activity, weather and regulations. Each excursion is different and a variety of whale behavior is witnessed while our naturalist guides offer you a wealth of knowledge to enrich your journey. When not on the boats, we may hike, birdwatch, or explore the local mangrove estuaries. Awake and say goodbye to San Ignacio Lagoon. We have a morning whale watching session before we catch our van transport and return to Loreto where some may be continuing to our Islands of Loreto Bay Kayaking Tour, or concluding their adventures in Baja. Return to the Loreto Aiport to catch your return flight home. Or, you may want to extend your trip with a kayaking tour around the islands of Loreto! Our itinerary includes 3 days of whale watching and a minimum (not maximum) of 4 whale excursions. Our trip includes two nights hotel stays, and when all is said and done, it's less expensive than others in San Ignacio while still providing the same local expert guides, exclusive camps, transportation and an extra day of whale watching. You, the guest, have more flexibility when flying into Loreto. First, there are simply more flights and it's more affordable. Second, it's a great location to extend your vacation experience by either kayaking, snorkeling or any other activity Baja has to offer. Although we don't fly directly into San Ignacio, our guests have found that the cost and flexibility of not having to fly to Tijuana, the flexibility of exploring more parts of Baja in Loreto, the flexibility of more flight options into Loreto, and the flexibility to extend your Baja vacation far outweigh the 4 hour drive across the beautiful Baja region. Apart from the cost savings...you, the guest, have more flexibility when flying into Loreto. First, there are simply more flights and it's more affordable. Second, it's a great location to extend your vacation experience by either kayaking, snorkeling, joining a cave painting hiking tour, or any other activity Baja has to offer. Although we don't fly directly into San Ignacio, our guests have found that the cost savings, and flexibility, of not having to fly to San Diego, then bus to Tijuana to then take a charter flight to San Ignacio lagoon, is in fact much easier. Loreto is an ideal base for exploring other regions of Baja and there are several flight options to get there. In addition, on the day we drive from Loreto to San Ignacio lagoon, you get a great feel of the Baja landscape and people we meet along the way during our special activities that day. We design our wilderness adventures to provide you with the best whale encounters imaginable. San Ignacio Lagoon is a whale-watchers' paradise and we GUARANTEE gray whale sightings on this tour! The whales migrate down from their Alaskan home waters to calve in San Ignacio from January through mid-April, so this is the only window to see them in Baja. To keep our group size small and our impact minimal, we typically limit our tours to 14 people or less. Our standard minimum to confirm a departure is 4 guests for our San Ignacio whale watching tour.